In fact, there are a few clearly set categories of medical waste while the term “medical waste” concerns to a very broad range of waste materials produced by facilities and businesses in the healthcare industry. These categories have very strict guidelines mandated by the Occupational Health and Safety Administration (OSHA) that refer to the proper dumping of medical waste. If you do not manage to properly follow OSHA guidelines it will not only bring to significant fines, but could also cause serious harm to the health of customers and workers. OSHA has put guidelines in place for a good reason, so it’s important that businesses in industries that produce medical waste know about the different medical waste categories, and the disposal guidelines that concern to them. Everyone must be familiar with some existing extensive subcategories of medical waste, but first of all, the whole medical waste fits into one of two categories—common medical waste and regulated medical waste. The main difference between these two categories is that regulated medical waste is any waste that contains or has been exposed to blood or other potentially infectious materials (OPIMs). Pathogenic microorganisms are also considered OPIMs unlike sweat, tears, saliva (except in dental procedures), urine, feces, and vomit which are not. This differentiation is critical because the materials are possibly infectious and harmful to human health. OSHA guidelines regulating the disposal of medical waste generally concerns to OPIMs containing waste, and are therefore mostly concerned with regulated medical waste. Unused medical products and supplies (excluding unused sharps). Thus, as you are already a little aware of the differentiation between these two categories, get ready to get acquainted with regulated medical waste, its subcategories, and how they are defined. As this definition is not limited, however, state legislation often defines regulated medical waste and handling guidelines further. The definition of medical waste of each state and guidelines differ a little, so before acting be sure to check with your local. All human and animal wastes that are detectable as body tissues, organs, or body parts are called Anatomical waste, while pathological wastes are human tissue samples collected for getting to understand better a patient’s disease or ailments. 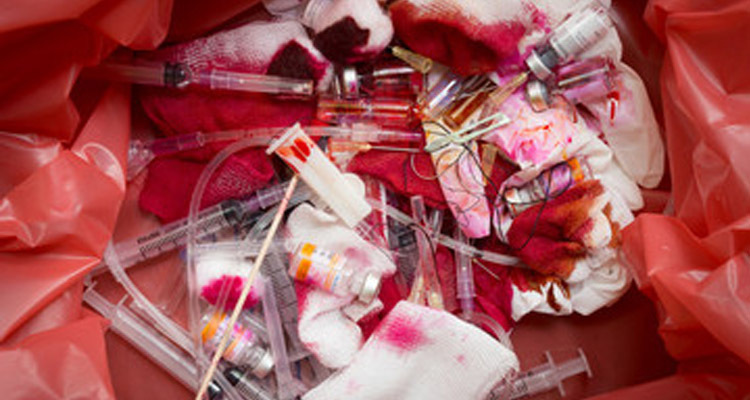 These items are the ones which may bring sub-dermal inoculation of infectious agents or that can easily penetrate the skin, damage waste bags and cardboard boxes such as hypodermic needles, syringes, Pasteur pipettes, capillary tubes, razor blades, scalpel blades, and broken glass from the laboratory. A special handling and packaging under both OSHA and DOT s required for sharps. Turn to your state’s guidelines when identifying what items are classified as sharps. Waste isolation is any biological or contaminated waste caused by isolated or quarantined humans and animals to protect others from highly communicable diseases. Any animal carcasses, body parts, bedding and related wastes that may have been exposed to infectious agents during research, production of biologicals, or testing of pharmaceuticals are considered to be contaminated and must be properly disposed of. As you notice, there are many materials that could be called regulated medical waste. Teaching and research labs should take particular caution, as the guidelines don’t often directly point to these types of medical waste producing entities, but have an equal opportunity to cause harm to employees and others through the improper handling of such waste. It is your obligation to dispose of this waste as a medical waste producer. If you do not manage to do so can cause severe damage to innocent people and cost you your business. 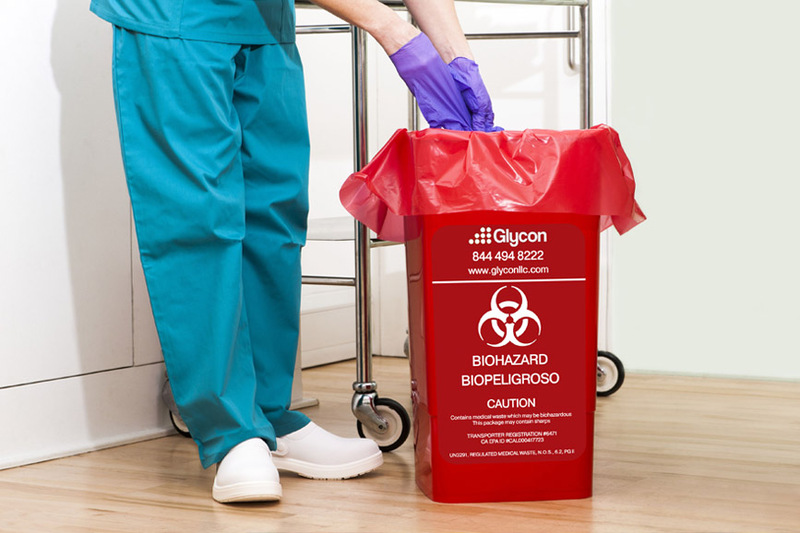 Glycon knows that this process is complicated and full of opportunities to make mistakes, because of this we’ve developed tried-and-true compliant methods to handle your medical waste with ease. We offer a number of medical waste disposal services across a variety of industries and are fully equipped to meet your requirements concerning to medical waste.